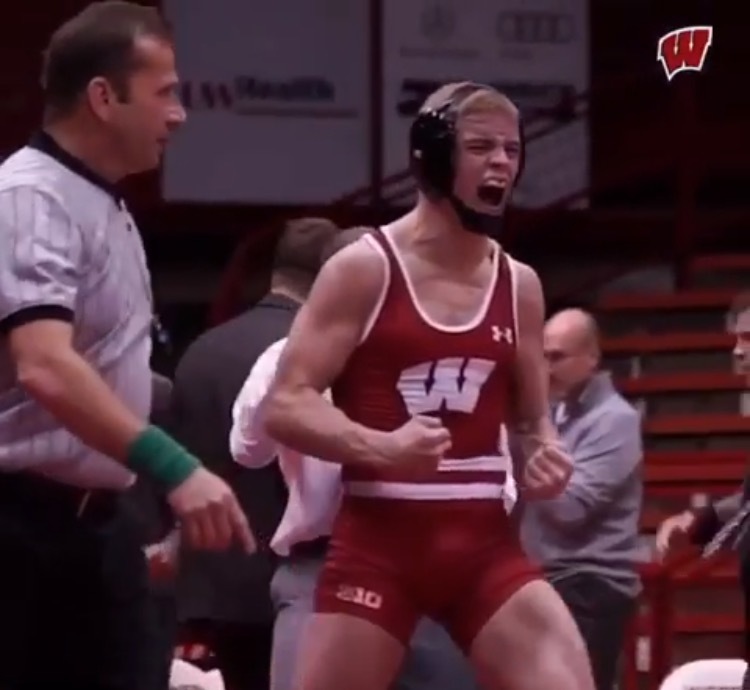 Before every match, teammates close to UW–Madison wrestler Eli Stickley came to expect a visit from him. He’d give them a hug and a pep talk, then tell them that, win or lose, he loved them. 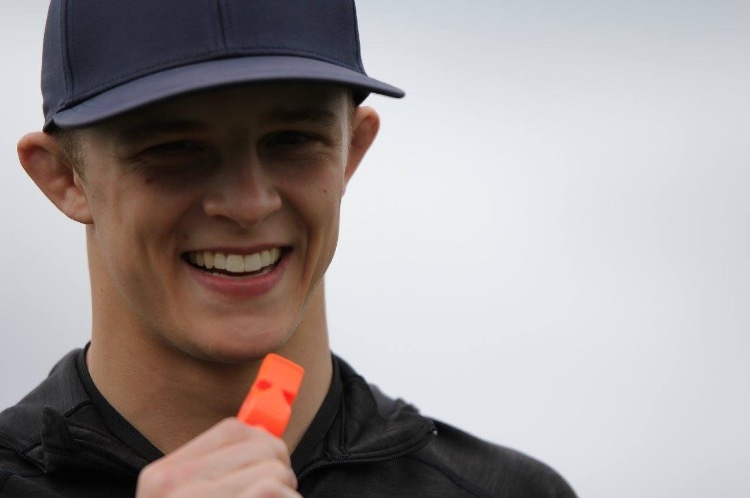 “It seems like such a small thing, but it says so much about him,” says Ben Stone, a close friend and fellow UW–Madison wrestler. The campus community is mourning the loss of Stickley, 21, who died July 5 in a car crash in Illinois. He would have entered his fourth academic year this fall at UW–Madison and wrestled as a redshirt junior. At the time of the crash, he and his girlfriend, Briana Cleveland, a May graduate of UW–Madison, were on their way to Iowa City for an engagement party for Stickley’s twin sister, Moriah. Stickley was driving westbound on Interstate 74 about 30 miles southeast of Davenport, Iowa, when his vehicle veered into the right-hand ditch, overcorrected, and rolled across both westbound lanes of traffic, according to the Illinois State Police. Stickley died at the scene. Cleveland, an athletic trainer this summer on the UW–Madison campus, is recovering from her injuries. She was released from the hospital July 11. A memorial service will be held for Stickley this Saturday at Calvary Baptist Church, his home church, in Bellefontaine, Ohio. The UW Athletics Department is providing bus transportation for student-athletes and staff. All 31 of Stickley’s teammates are expected to attend. “Eli was a huge part of bringing the whole team so close,” says wrestler Cole Martin, one of five teammates, including Stone, who shared a house with Stickley. Martin was among about 200 people who attended a gathering in Stickley’s honor Monday evening in Heritage Hall at Camp Randall Stadium. Organizers scrambled to set up enough chairs. It was the second such gathering on campus for Stickley. At both, people shared stories and memories. 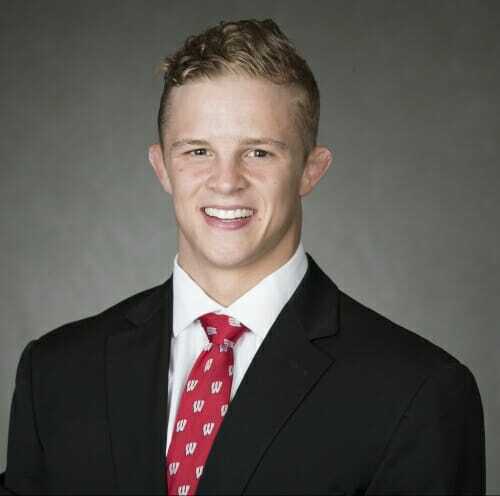 Hunter Ritter, another wrestler and housemate, says he was struck by the number of people who said Stickley impacted their lives. A former Ohio state champion, Stickley hailed from an extended family with many standout wrestlers. He had a strong work ethic and a selfless attitude, says retired UW–Madison head wrestling coach Barry Davis, who recruited Stickley. For those unable to travel to Ohio, there will be a live video feed of the memorial service Saturday beginning at noon at Upper House, 365 E. Campus Mall, a campus-area religious space. All are welcome. Stickley’s faith was central to his life, and the memorial service will reflect that, says his father, Todd Stickley, of Urbana, Ohio. Eli Stickley attended Blackhawk Church while in Madison and was heavily involved in the Christian organization Athletes in Action. He was majoring in life science communications and hoped to become a chiropractor. As a wrestler, he was an NCAA qualifier, a Big Ten placer and an Academic All-American. “The outpouring of love and support for us and Eli in this time of tragedy has been overwhelming,” says his father. The night of the accident, Stickley’s Nissan Frontier was the third vehicle in a family caravan heading to Iowa City. His parents were in one of the vehicles ahead of him. Speed was not a factor, his father says. Prior to the crash, family members had gently ribbed him for lagging behind in the caravan. Teammates are brainstorming ways to remember Stickley. A memorial wrestling tournament has been floated. Custom singlets for the team that honor Stickley is another idea. Stickely’s family asks that, in lieu of flowers, donations be made to: Athletes in Action, Eli Stickley Memorial Fund, 651 Taylor Drive, Xenia, Ohio 45385. Checks can be made to Athletes in Action.